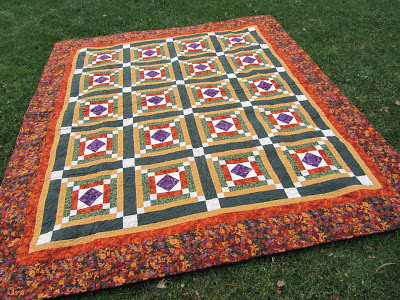 Way back in 2009 (okay, so maybe not "way" back, but long enough ago) I finished making this quilt top and had it quilted by a long arm quilter near me in 2010. Well since then, I've had the binding made, but I just never got around to attaching it to the quilt. Well, I'm happy to say that this quilt is officially completed after a little motivation by the BMQG WIP challenge. I took a few pictures this weekend at my parent's house of the quilt. It's not quite King size, but it's slightly bigger than a queen size quilt. I'm glad to have this one finished. 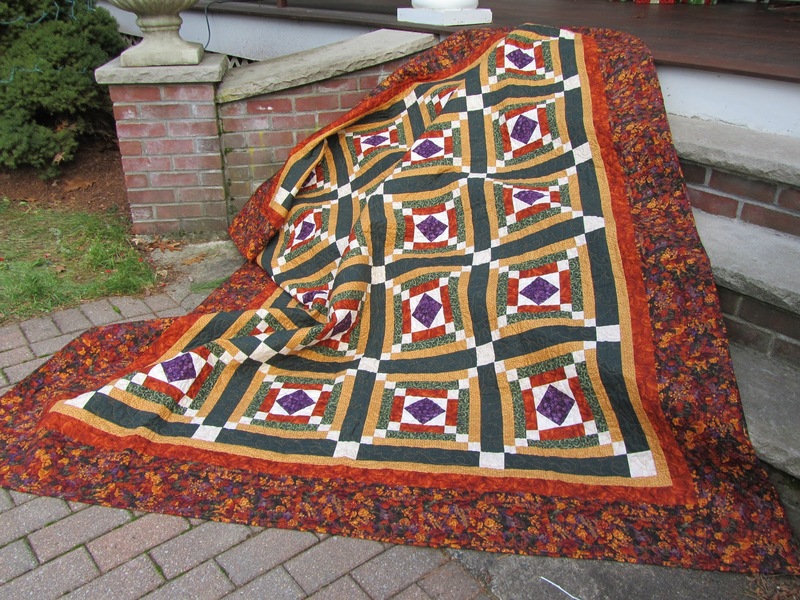 It had been sitting in a pile in my quilting room for too long. Now, it's found a nice new home at my parent's house since it's more their color pallet than mine. Looks great! It must be great feeling finally finishing it. Love the chain design. 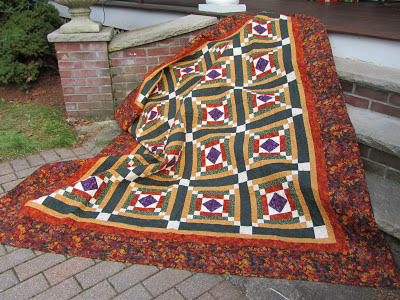 This quilt is just beautiful! YAY! I am loving that so many guild members are getting involved in the challenge! I see some Native American in that design and color set. Lovely!